Janet Wood is a NASA/JPL Solar System Ambassador, one of a nationwide network of more than 600 volunteers coordinated by the Jet Propulsion Laboratory in Pasadena, California. The ambassadors present public programs about NASA's space exploration missions. Janet Wood became a space science enthusiast after attending The Planetary Society's "Planetfest" in 1997, which took place in conjunction with the Mars Pathfinder Landing. Janet's enthusiasm for space exploration is contagious. She has been giving programs to a wide variety of audiences since 2002. Her special interest is in planetary geology. Including her Bachelor's Degree from the University of Washington, her academic qualifications also include a Master of Science Degree in Geoscience Education from Mississippi State University. 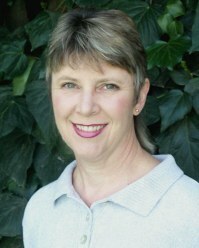 Janet is available to make presentations to community groups and schools throughout Tulare and Kings County, California. See a list of available programs above, including a new feature of my audio-visual programs available on YouTube.